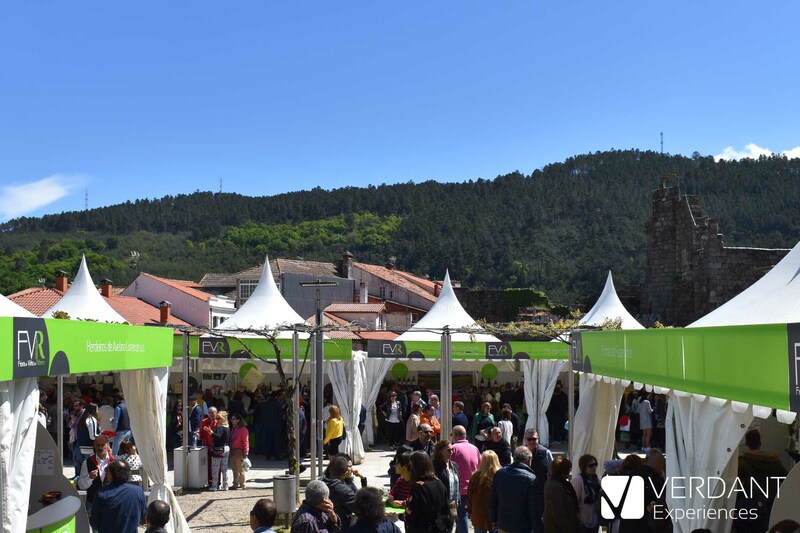 This fair is celebrated in the epicenter of the Ribeiro region, in Ribadavia, specifically in the “Alameda” of the town hall where the stands of the different wineries and “colleiteiros” participating in the Fair are assembled. 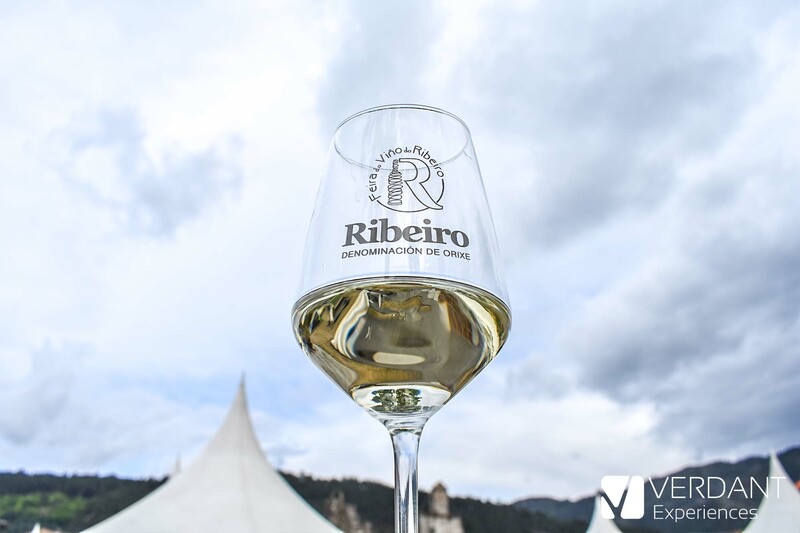 The Ribeiro is considered as one of the oldest Appellations from Spain and the oldest from Galicia, it is composed of 36 wineries and 79 Colleiteiros, making a total of 115 producers, of which 36 participated in this year's fair. White: Treixadura, Godello, Loureira, Albariño, Torrontés, Lado y Caiño blanco. In spite of not being autochthonous, also the following ones are authorized: Tempranillo, Palomino, Albillo and Garnacha tintorera. 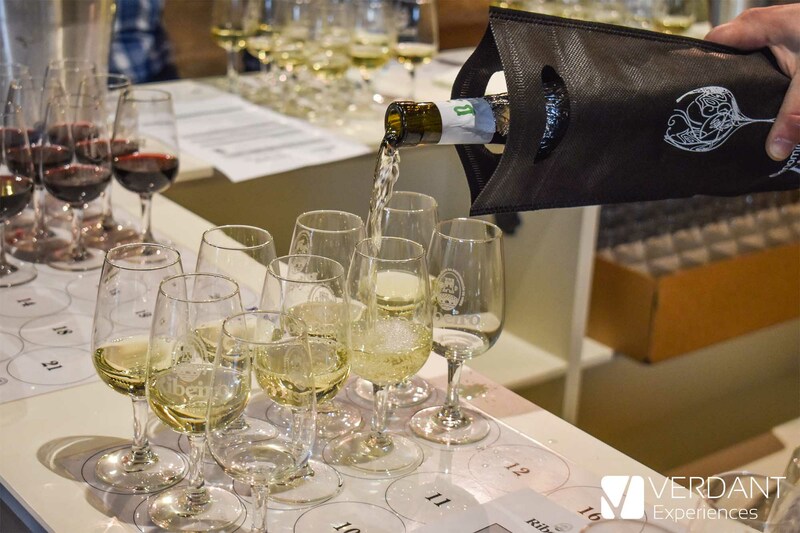 During these 4 days of fair you could taste or consume the wines of the participants, for it was necessary to buy tickets worth 5 euros that contained a total of 10 points each. The wines in each stand could vary from 1 point for a tasting, to 2, 3, 4 or 5 points for a glass of wine. On the other hand, if you do not have a cup you can buy one of the fair for 2.5 euros and take it as a souvenir. 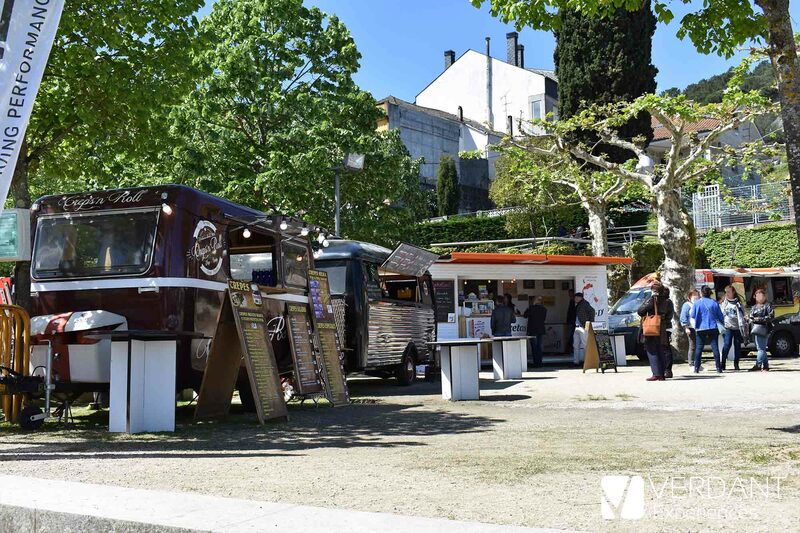 In addition to the wines, there is also a space with food trucks where you can buy food during the event, from juicy hamburgers of Galician beef, to octopus or sweet crepes with chestnut cream. 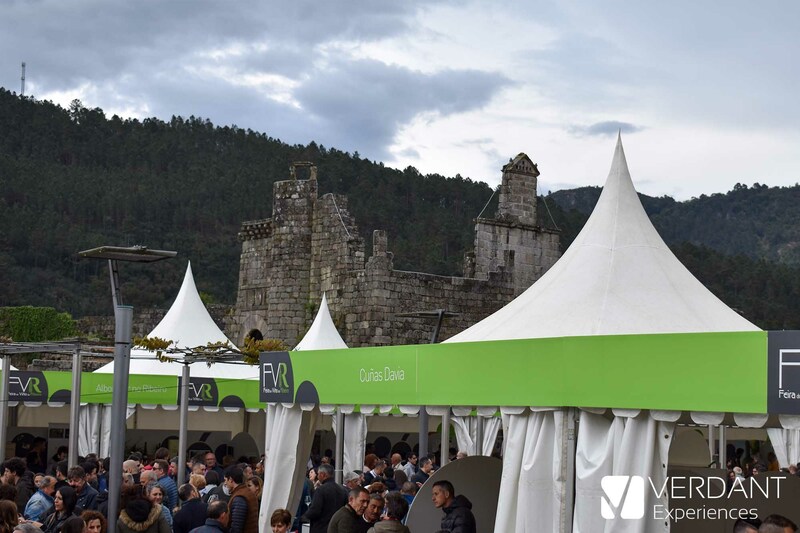 Throughout these days were also carried out various activities around the wine, among which the showcooking activities performed by different chefs of restaurants in Galicia, musical activities with various groups that entertained the event at dusk and also a contest of wine tasting to choose the best wines of the fair. The wine tasting was held over the weekend at the Church of La Madalena (in the Jewish quarter of Ribadavia) and 200 people participated to award the best wines of the Fair. Best Red Wine (13 wines): Viña do Campo 2016 de Bodegas Docampo. 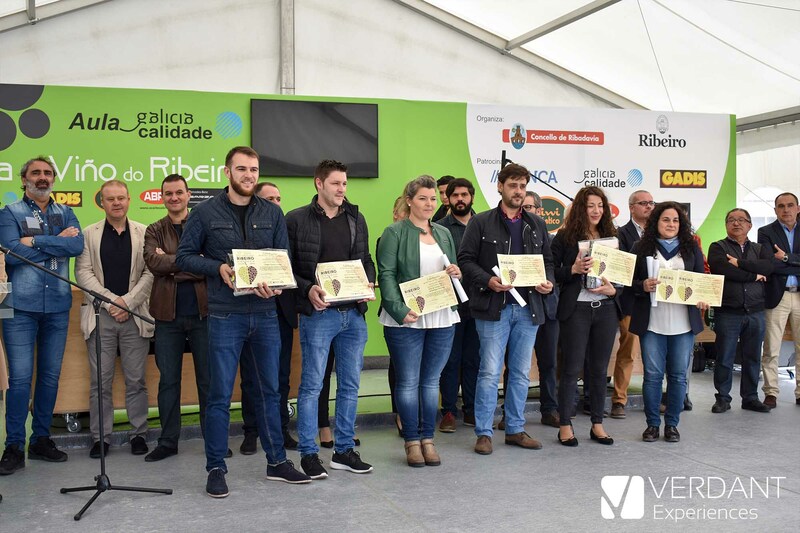 On the other hand we have the awards to the best tasters where Diego Carreira, one of the founders of Verdant Experiences, has won the award for Best Taster of White Wine of Wineries. The other winners were Andrés Negreira for Best Taster of Red Wines and Tivisai Fernández for Best Taster of White Wines of Colleiteiros. As a summary, it is a fair that we recommend to attend and where you can enjoy very good wines and gastronomy. Bonus: If you do not want to wait for the next edition, you might be lucky as on May 12, 2018 takes place the second edition of the Día Movimiento Vino D.O. and in the Ribeiro they will also be celebrating this day. Place: City hall of Ribadavia. In collaboration with the City Council of Ribadavia the act will begin at 11.30. There will be a small fair where you can buy tickets and drinks for tasting both white wine and red wine at popular prices so that all together we can toast at 13.30. A DJ will liven up the day and every half hour there will be raffles of lots of wine and merchandising among the participants. The act will end around 2:30 p.m. If you want to attend the next Ribeiro Wine Fair, we can organize your stay and excursions that include this fair. You can contact us here.